Home / Blog > Our Time Office Software: More Than Your Money’s Worth! Our Time Office Software: More Than Your Money’s Worth! Star Link Communication Pvt. 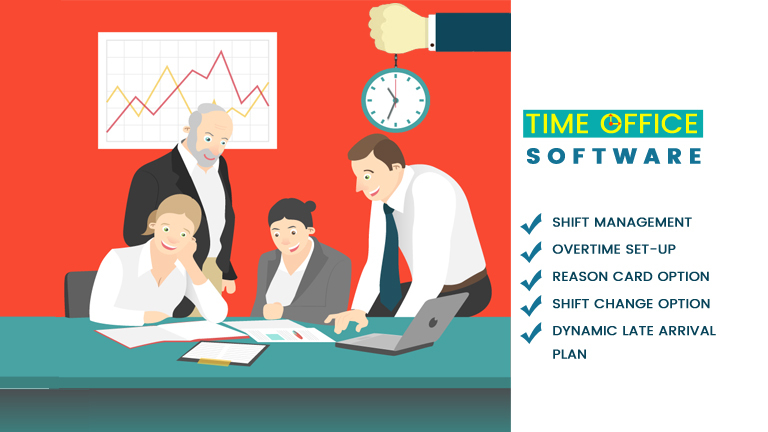 Ltd.’s time office software is a computerized solution that maintains a precise record of employees’ entry and exit timings. Accurate day-wise record helps you calculate an employee’s salary at the month-end. They let the HR know, how many hours a week has an employee worked, how much overtime has he/ she done, how much time has he/ she been late and how many leaves have he/ she taken. It can also be used by factories that give workers daily wages. This software solution has been designed recognizing the HR needs of companies. Simple – No hassle of finding and going through department-wise attendance registers. No wastage of time on flipping through pages and trying to find individual records. Individual, as well department-wise records are a second away! User-friendly – Using our time office software solution is far from being a rocket science. The reports are generated in MS Excel. (And your HR & accountancy personnel know Excel, right?) Calculating salaries are so much easier! Reduces Cost – We are offering you a solution that would greatly reduce your workload, improve the efficiency of your HR personnel, without burning a hole in your pocket! After all, it does not require any expensive hardware installation! Manual maintenance (Paper) cost is eliminated too. Easy Access – A web-based application, you can easily access it from anywhere in the world! All you need is an internet connection! Maintains Records – You pay for a software solution to help you with attendance, but you get so much more for the price you pay! Not just attendance, it also keeps records of scanned documents submitted by employees (at the time of their joining) and their personal information. Go ahead, fill this form. You know, you need our time office software! Make your life easier!